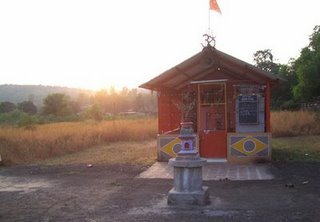 Mandangad is a Taluka place in Ratnagiri district. Overlooking the small town of Mandangad is a two peaked hill fort also known by the same name i.e Mandangad. Mandangad fort is has quite an obscure existence and doesn’t find much of a mention in history books. 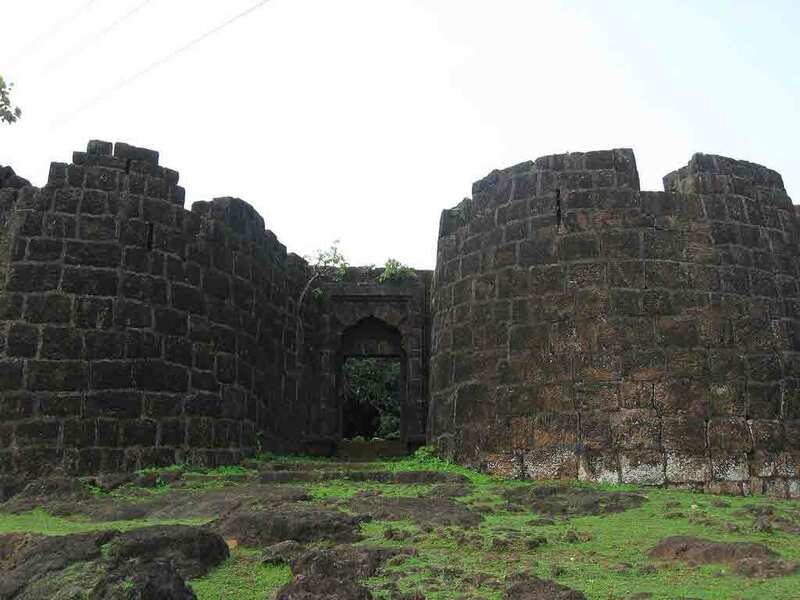 In fact, it is one of the very old forts in the region with data suggesting that Mandangad was built in 12th century during the reins of the Shilahar dynasty. 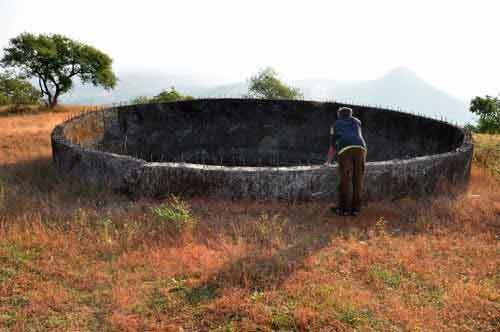 The visit to the fort takes not more than three hours from Mandangad village. 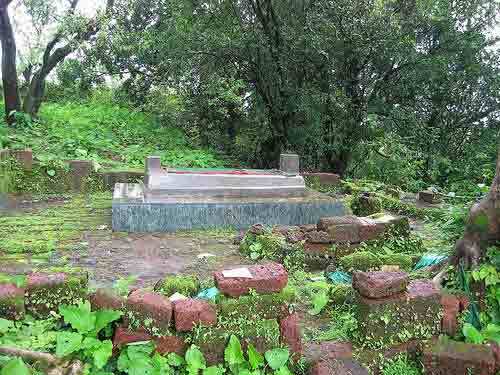 The hillock is quite densely forested and a mud trail winds up the fort in one hour through these thickets. 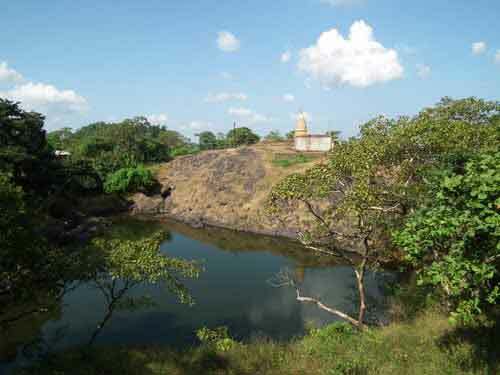 A lake called as ‘Thorla’ Talav (Thorla means Bigger in Marathi), a recently renovated Ganesh temple standing next to the Throla Talav, a Darga, a magazine, tanks, few ruins of bastions and remains of fort walls are the only structures that one can see atop Mandangad. However, the recently renovated Ganesh temple stands majestically on the small hump near the Lake is a beautiful place to stay, if one wishes to stay on the fort. From the southern end bastion, one can sight the hill fort of Palgad standing opposite to Mandangad. The history of this fort is very much speculative and obscure. Potable water is not available on the fort. Carry your own stock. 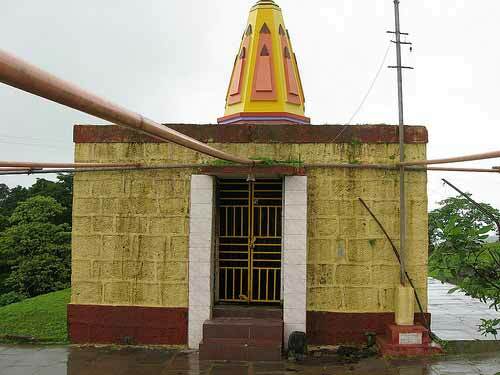 Mandangad fort provides good accommodation in the Ganesh temple atop. 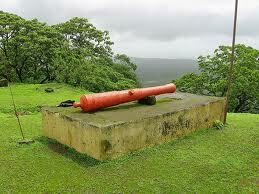 Mandangad fort is about 2 km from Mandangad town in Ratnagiri District, Maharashtra. Sape wamne nearest railway station to mandangad. Mahad , Shrivardhan , Khed are the nearby by towns to Mandangad having road connectivity to Mandangad.